Experimentation isn’t just a chance to keep carts from being abandoned or improve lead generation. It’s a chance to engage with and get to know your customers innately-- the chance to make your website personal again. You can tailor ever experience to user behavior, create consistent omnichannel experiences from mobile to desktop to email, and even test your business proposition and messaging. 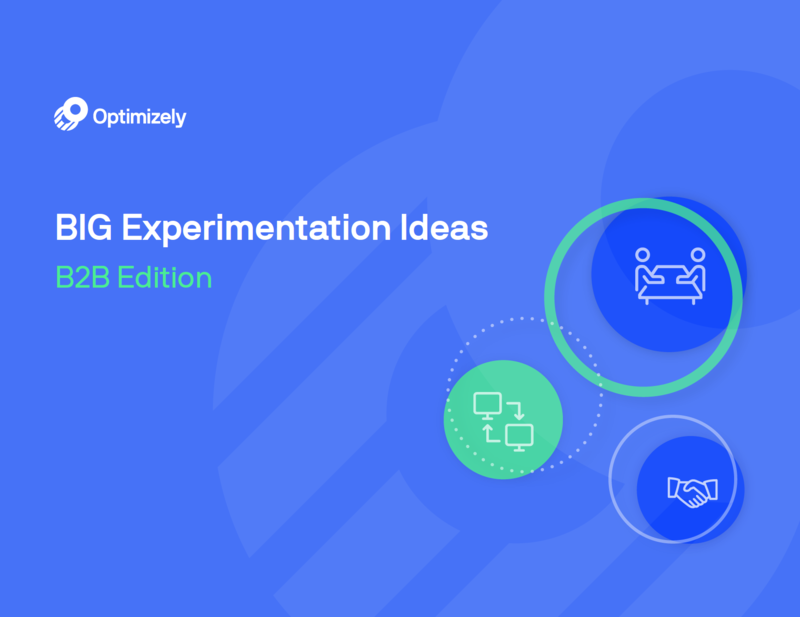 Download this guide to get fresh testing ideas and inspiration from our industry-leading B2B & technology customers such as Iron Mountain, Atlassian and IBM. Share a few contact details and we'll send the content to your inbox.